The Seattle International Film Festival (SIFF), the largest and most highly attended film festival in the United States, had a massive lineup in its 42nd annual 25-day run from May 19 through June 12. This year SIFF screened 421 films representing 85 countries: 181 features, 75 documentaries, 8 archival films, and 153 shorts. The films included 54 World premieres and 27 U.S. premieres. Among those hundreds of films, two (Mekko and Before the Streets) were made with North American indigenous issues central to their theme. 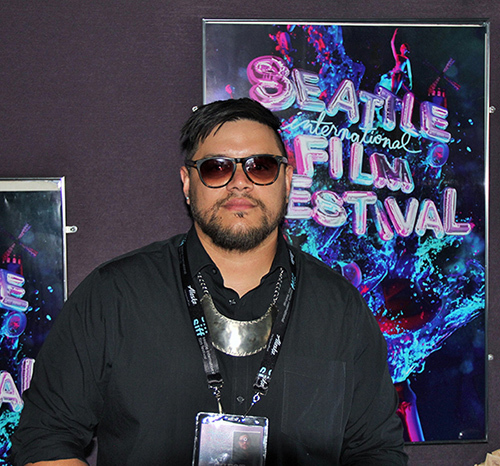 Prior to their Seattle premieres, SIFF publicists and media relations staff reached out to local tribal media about covering the films and meeting the directors for potential publications. According to festival publicist Sophia Perez, the staff of Tulalip News were the only tribal media who responded to the SIFF invitation. Mekko is the product of director/writer Sterlin Harjo who is a member of the Seminole nation with Muskogee heritage. Born and raised in the small town of Holdenville, Oklahoma, Sterlin studied film and art at the University of Oklahoma. Sterlin is a founding member of the Native American comedy troupe, the 1491s, whose bold stylings have garnered millions of views on YouTube. 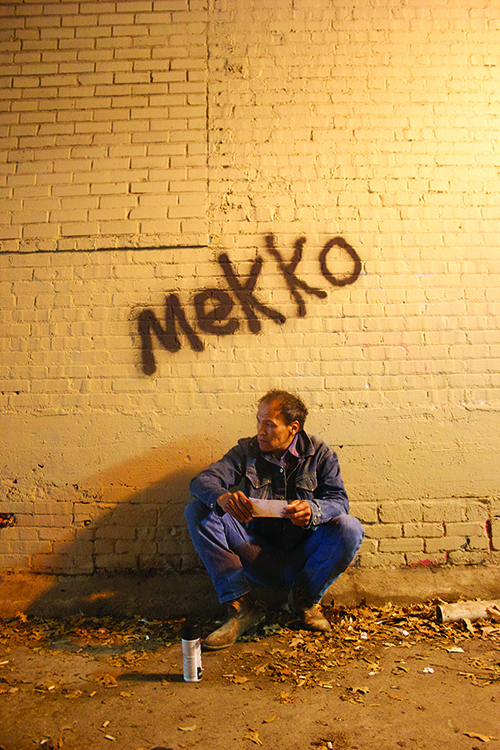 Mekko is a film that explores the rarely seen slice of life about marginalized homeless Native Americans. Mekko is an uncompromising thriller set against the streets of Tulsa, Oklahoma wherein a Muscogee Native is released from prison and falls in with the homeless “street chiefs” at the edge of the city, struggling to find shelter, hope, and redemption among the local Native population. “People walk past or drive past the homeless all the time and never think about where they came from and how they ended up where they are. In making this film I wanted to humanize the Native homeless population in Tulsa while giving them a voice,” says Director Sterlin. 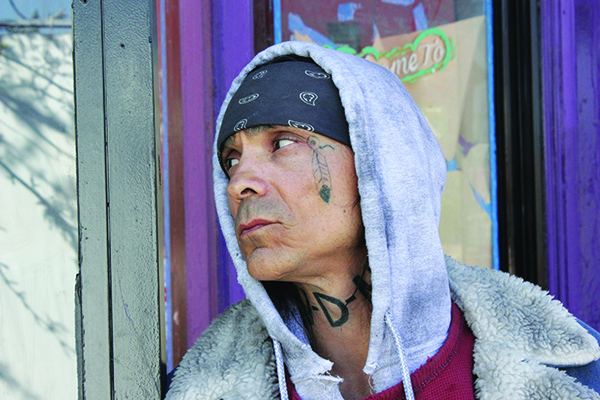 In writing the film Sterlin spent a lot of time among the Native homeless population in order to ensure his story line was an accurate portrayal of their struggle. “While doing my research I was also recruiting them to be in my film. They were very open to the idea and I could tell how excited they were to have someone tell a story about them. Award winning film and television actor Zahn McClarnon plays the character Bill in Mekko. Photo courtesy of Sterlin Harjo. Mekko paints the portrait of a homeless Native American parolee in Tulsa. As he struggles to find his way in the outside world after two decades behind bars, the titular Mekko discovers a chaotic yet occasionally profound and beautiful community of impoverished natives which now includes Bunnie, one of his old carousing buddies from his wilder youth. Though Mekko finds some peace in this society that exists on the fringes of our modern world, he also uncovers a darkness that threatens to destroy it from within. After a tragic series of events, Mekko dedicates himself to a quest for revenge which he believes will cleanse the sickness from this collective of marginalized individuals and perhaps atone for the sins that landed him in jail so many years ago. Making its United States premiere, Before the Streets is a gripping and spiritual film set among the Atikamekw communities of Quebec, Canada. Featuring an indigenous cast speaking in their native tongue, it’s a redemptive story of a young man who returns to his Native traditions after a robbery ends in tragedy. The lead character, young Shawnouk kills a man during a robbery and flees into the forest. Deciding to return to his Atikamekw village in Quebec, he tries to return to his everyday life, but is haunted by his past. Covering gritty, everyday issues of Native life on reservations from hunger and poverty to less talked about social issues of teen suicide and struggling family dynamics, Shawnouk must overcome his despair and redeem himself using traditional cleansing rituals. 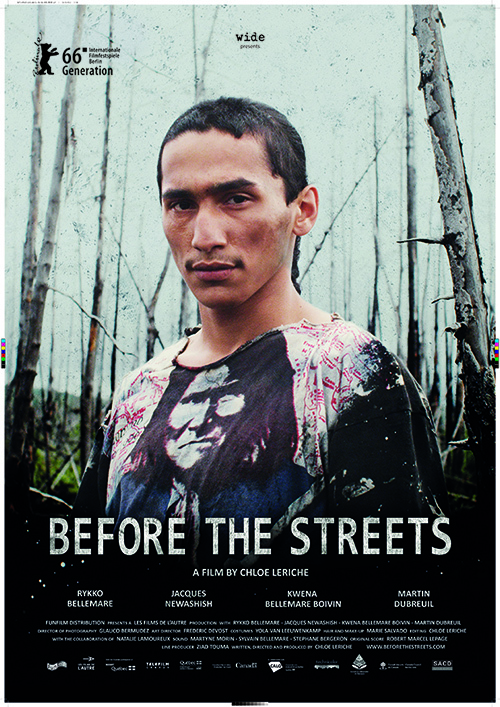 Before the Streets celebrates a revival of the Native culture and its traditions, as embodied by the very actors who participated in the film. The first dramatic feature shot in the native language of Atikamekw, the film boasts a cast composed almost entirely of non-professionals living and working in the villages where the film was shot. The story takes place in Manawan, while a forest fire closes in on the nearby village of Wemotaci. First-time feature director Chloe Leriche made Before the Streets with the collaboration of Quebec’s three Atikamekw communities, in drawing on all the vitality they embody. 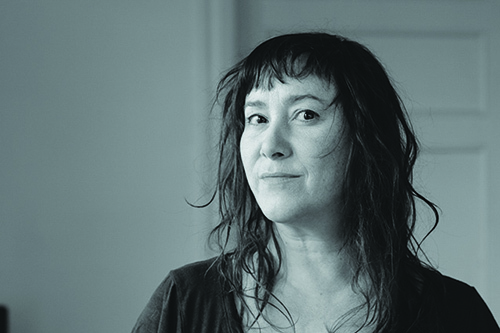 By following the pacing of her non-professional actors, she created a distinct style that goes beyond notions of the North American indie genre and recent media reports on the dismal conditions in Canada’s Native communities. “I was working for Wapikoni Mobile, a project that involved traveling to Native communities in a trailer equipped with video cameras and editing tables. The idea was to encourage young people to express themselves through cinema,” says Director Chloe of how the inspiration for her film came about. “The first time I went to Obedjiwan, an Atikamekw community in northern Mauricie, I met a young man in the street and suggested he make a documentary on whatever subject he wanted. We went to look for two of his friends to hold the camera and record sound. I told his friends to ask him questions, and we filmed in different places around the village. Speaking to the camera, he talked about friends and relatives of his who had taken their own lives. The longer we shot, the longer the list of names grew. It was harrowing. After that, of the different scripts I was developing, Before the Streets forced itself on me like a scream. I felt compelled to make it, it became a necessity. The project grabbed hold of me and wouldn’t let go. We know that there is a large group of people in America that are going unnoticed and often, unappreciated. Filmmakers like Sterlin and Chloe, bringing Native films to the table, are allowing their audience to be exposed to Native culture and see that the marginalized have something important to say. While installing themselves in a genre often thought reserved only for the rich and upper-class, whether it’s Native filmmakers breaking out onto the circuit or just films in general portraying Native life in today’s modern times, the presentation of Native films is a significant shock to the system. They help to shed an accurate light on so many Native issues, like homelessness and teen suicide on reservations, commonly hidden in the shadows. This entry was posted in Arts & Entertainment, News, Top Story, Tulalip News and tagged Before the Streets, Indigenous films, Mekko, Native American, SIFF by Kim Kalliber. Bookmark the permalink.